A traumatized veteran who specializes in tracking down missing girls. A politician’s kidnapped daughter. A conspiracy that threatens the halls of power. These could be the ingredients of a standard thriller, but director Lynne Ramsay’s latest is anything but standard. Instead, she has crafted a frenetic, disorienting spin on the revenge thriller, anchored with raw intensity by an award-winning performance from Joaquin Phoenix. 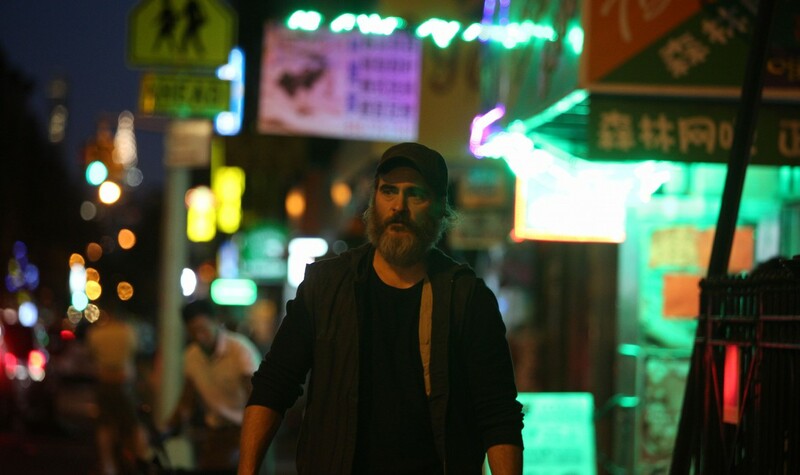 Tearing through the genre’s cliches to capture its haunting emotional core, YOU WERE NEVER REALLY HERE is a daring, disturbing masterpiece from one of cinema’s most unique directors. "Her return seals her standing as one of our most fearless and forceful filmmakers, if not one as prolific as she deserves to be. "